Good to hear the bearings in that center shock work well . Do you mean new bushings in the lower W arm mounts, or is there a way to get bearings in there too? Well I didn't work on this nearly as much as I wanted this year. I should be getting the rebuilt shocks back from Hygear tomorrow. I also bought a 3" block riser to get the height back when I put the MX bars on. Should end up around 1/2" taller than stock bars. 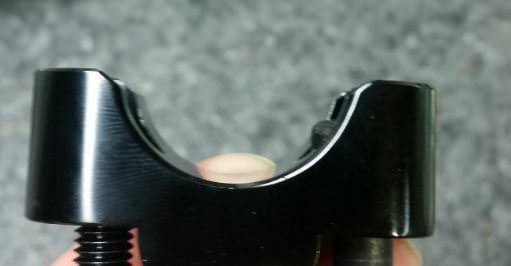 Powermadd suggests cutting the nub off of the stock lower bar clamp so it sits flush on the riser, think I'm just going to put the riser on the drill press and drill a hole down for the bar clamp to sit into instead. I'd rather keep the stock components unmodified. I cut that nub off all my sled with risers. Not needed and never was a problem. Trying to put the Pro Taper 7/8"-1 1/8" adapters on my sled with a 3" block riser from Powermadd. I cannot find the correct length (115mm) button head socket cap screws to make this possible... Regular socket cap screws will not work as the head is too large and the bars will not sit flush in the adapter. The button heads can only work, but I can not find any in 115mm length. Anyone know of any vendor? Here's some photos if it helps. 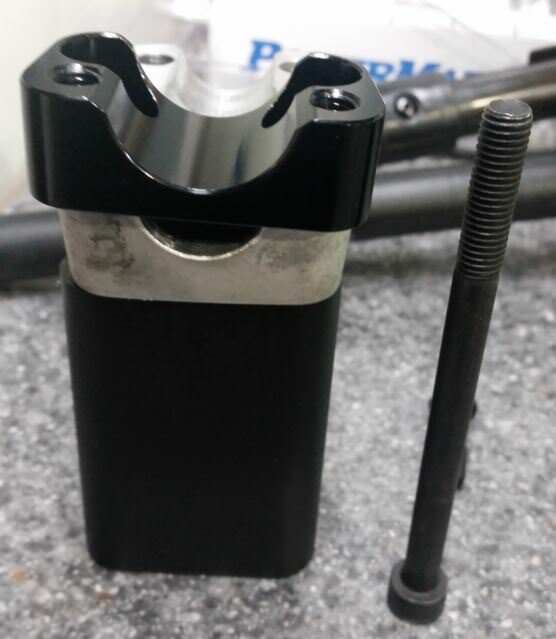 You can see the setup I'm trying to do, it'll be the stock stem/steering post, to the 3" riser, to the stock lower clamp, adapter, bars, then upper clamp to adapter. 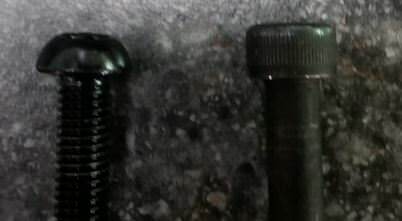 First photo shows a 110mm regular socket cap screw (too short, need 115mm) for length, second shows why the same one will not work (will hit bar), and last shows the difference in what I need (left) vs. the same previous bolt. Last edited by Yzed608; 01-06-2018 at 12:11 PM. Last edited by A couple of bucks; 01-06-2018 at 07:27 PM. Last edited by Yzed608; 02-11-2018 at 10:25 PM.